The Byre is a luxury one bedroomed stone cottage set in the beautiful and peaceful surroundings of the Santon valley, above Port Grenaugh. The cottage is perfectly situated for walkers and cyclists and faces west to enjoy the afternoon and evening sunshine after a day exploring our beautiful island. 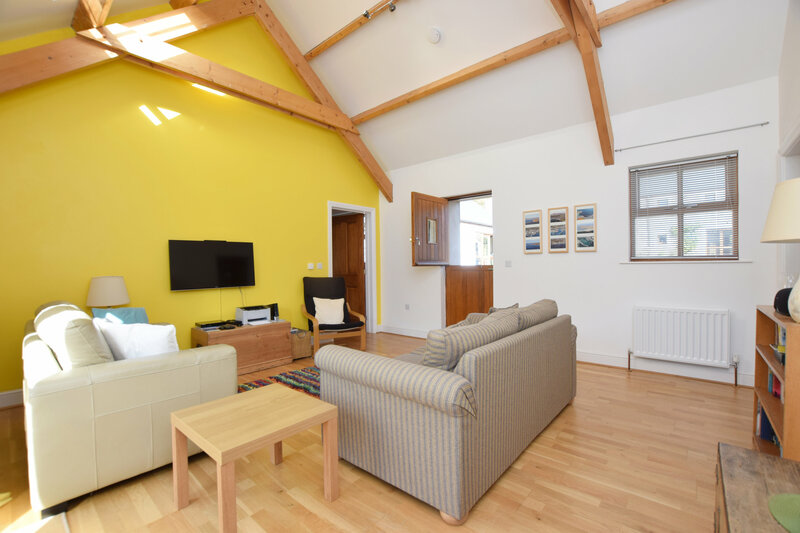 The Byre is a 15 minute drive from Douglas and the ferry terminal and only a ten minute drive from Castletown and the airport. The main bus route is a 10 minute walk from the cottage, Port Grenaugh beach is a 15 minute stroll away and the Isle of Man Steam Railway stop is approximately 6 minutes away. 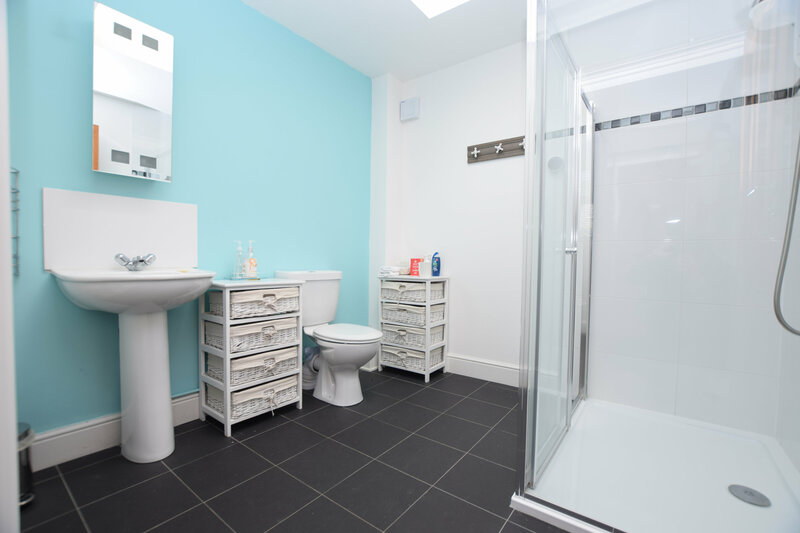 Beautiful, spacious and modern, with everything you need close at hand. 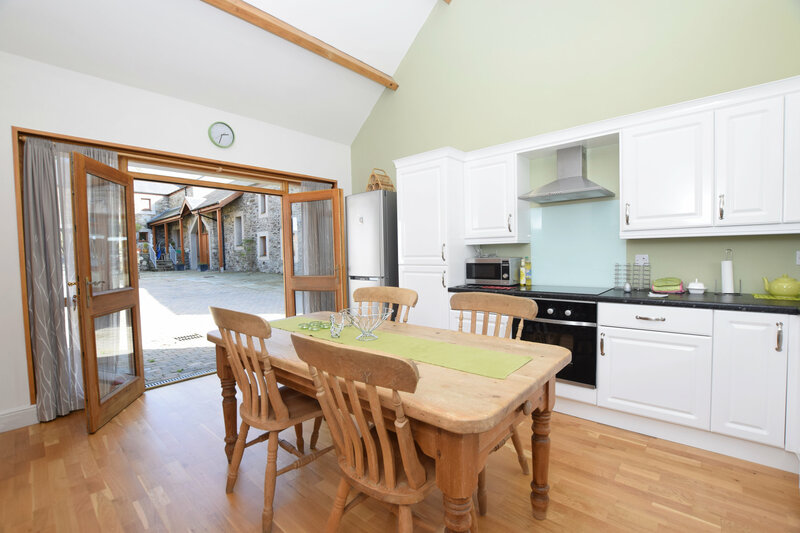 The Byre is the perfect base from which to enjoy and explore the Isle of Man. Whether you want to pack your stay full of activities, or just kick back and relax, The Byre has you covered. 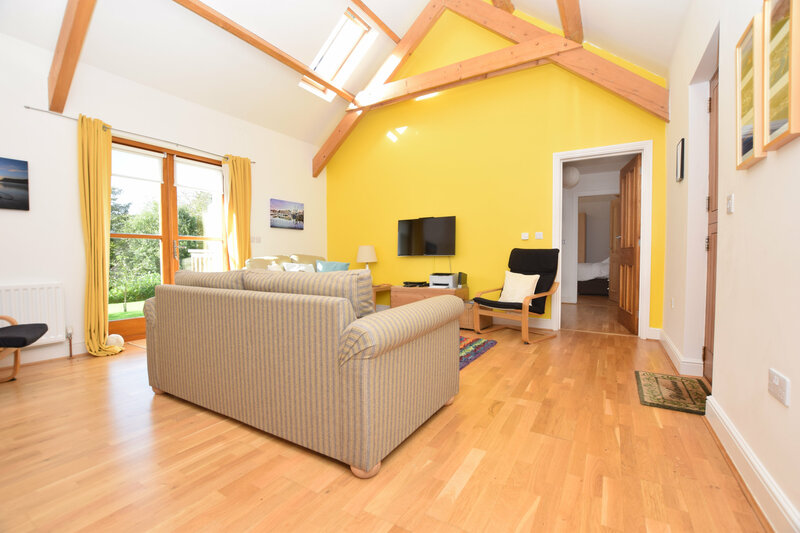 All accommodation is on the ground floor and access is level throughout the cottage. There is disabled access and wide doorways throughout. 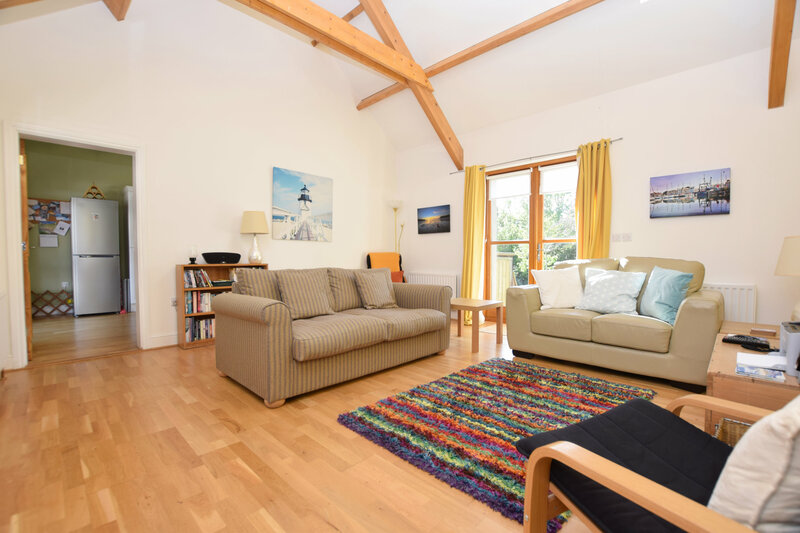 The large living room has vaulted ceilings and a smart TV with DVD player and a stock of books, games, jigsaws and DVDs for you to use. We do provide free Wi-Fi for your laptop, phone etc but cannot guarantee its suitability for streaming services. There is also a games room available with table tennis and a pool table. The garden is also accessible and a secure place for children to play. There's a terrace and a lawn area. 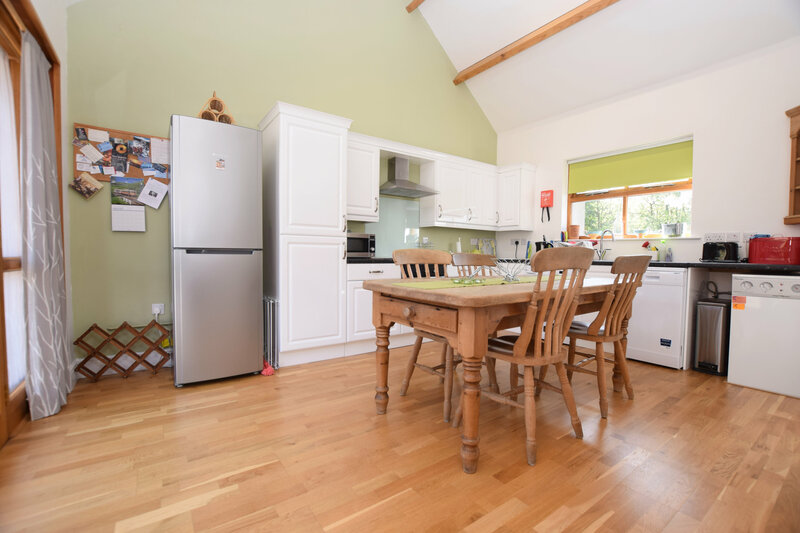 In the summer, you can relax in the provided garden furniture and enjoy views down the Santon valley while you wait for your dinner to cook on the barbecue. There's room to park up to two cars at the cottage. There is also a garage to store bicycles and a pressure washer to spray down mountain bikes after a day on the trails. We are keen walkers and cyclists ourselves, so we have a bike rack and trailer to drop of mountain or road bikes and can be convinced to drop you at the start of the best runs or just give tips on where to go. We can even lend you a picnic basket and set so you can make a day of it. The sizzle, the smell, the delight of home-cooked food. The Byre sports everything you need whether you are in the mood for a King's banquet or just a quick snack. It really is home from home—if you have a fantastic kitchen at home. The kitchen is modern and fully equipped. 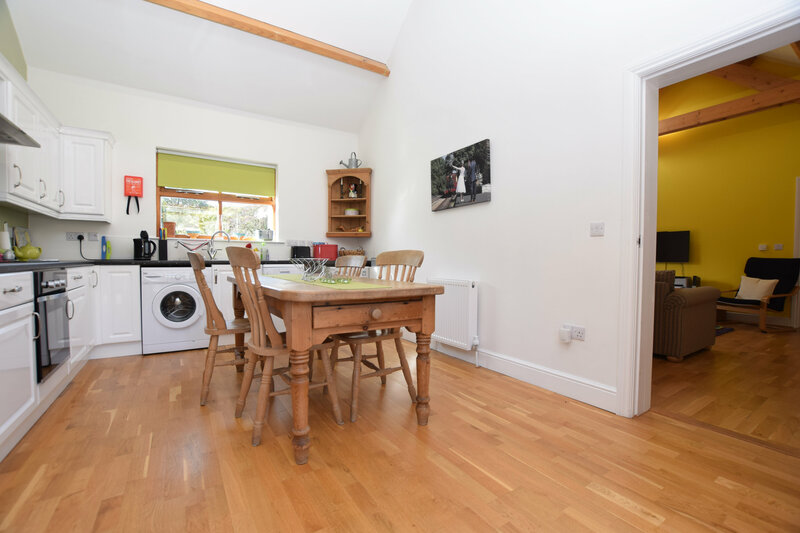 There's a dishwasher, fridge-freezer, hob, separate oven, microwave, kettle, toaster, washing machine and dryer and a table and chairs. There is plenty of crockery, glasses, pots, pans and utensils, including the all-important bottle opener! There is additional 'dirty' washing and drying facilities in the garage for mountain biking or walking gear. In the summer we provide an BBQ, table and chairs outside for the alfresco dining experience! 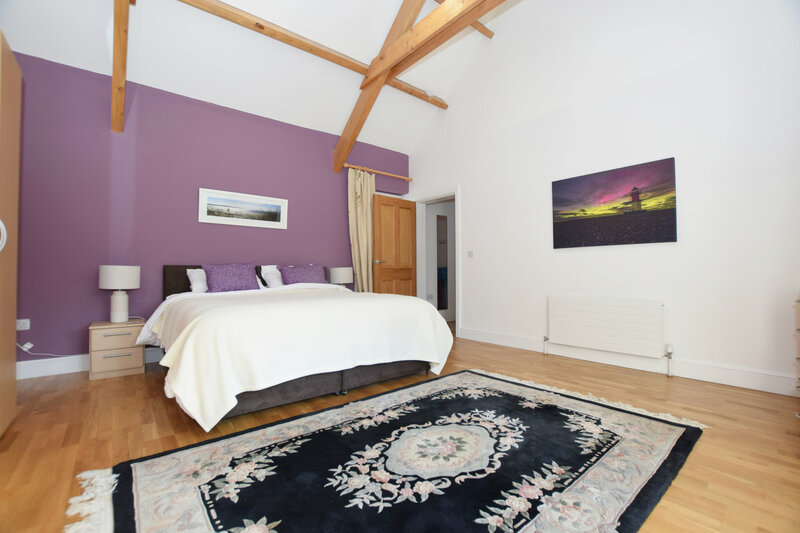 A good night's sleep is essential for a truly wonderful holiday experience, and a night in The Byre will not disappoint! Snuggle down in luxurious bedding, drift away from the hustle and bustle—just you, the idyllic Manx countryside and all the creature comfort you can dream of. 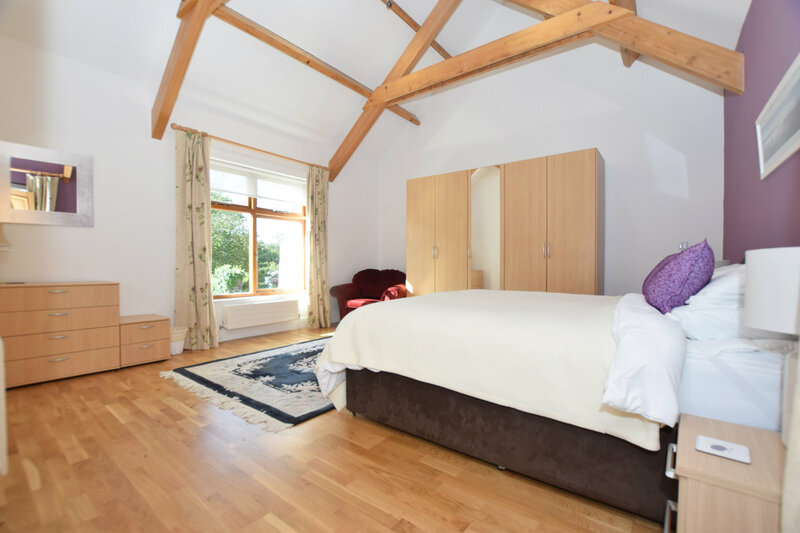 The Byre sleeps two people in one large bedroom. The bedroom can be either double or twin, with super, comfortable zip and link beds. The bedding is goose down duvets and pillows and luxury, cotton linen (unless hypo-allergenic is requested). A cot is available on request. There is also scope to sleep an additional two people on a sofa bed or temporary mattress, if arranged in advance. The number of people staying, including children, must not exceed 4. All linen is provided, as are towels and beach towels. above Port Grenaugh just 5 minutes from the main Douglas to Castletown Road. We use holidaylettings.co.uk (from TripAdvisor) to handle the booking process and display availability. You can pay by card or with PayPal and and enjoy their payment protection. We also invite you to read our reviews from past guests!